Ask here about your controller made with pieces purchased in other shops. 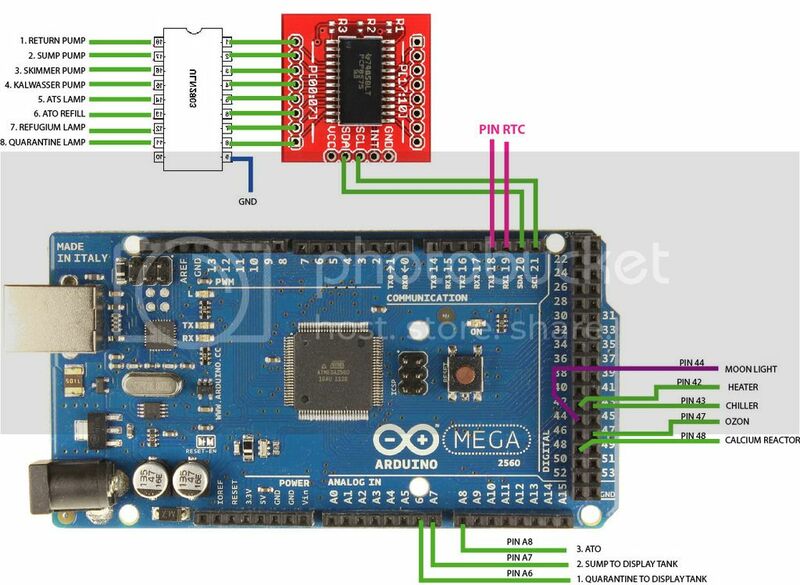 please help me what is correct picture of the pin. because my order not yet come and I try to understand relays pin. The wiring seems good but, the realay board connected to ULN2803 need be "active low". 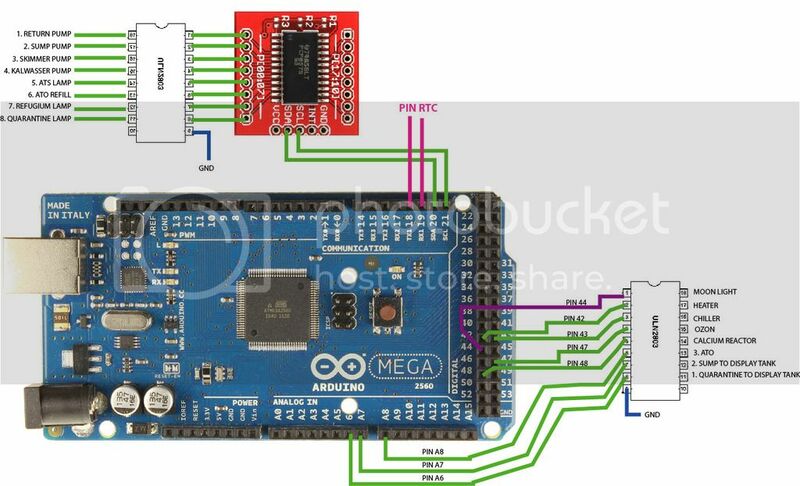 The relay board connected to Arduino pins need be "active high" or you need add an ULN2003 or change on code HIGH to LOW and LOW to HIGH. Please do not PM me for support unless it is absolutely necessary. I'll not write custom function to nobody unless you can pay for my job. You can't connect the moonlight to ULN2003. The circuit for LEDs is other. ok, thank you very much for your answers. Do you have this PCF module working with your relay board? Can you show us some pics? this module works perfectly, right now I have not used the module at this time.